Need more space or power than a shared hosting account can provide? 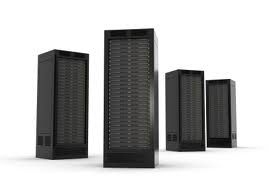 One of our Zeonhost dedicated servers may be right for you. Each server is hand built meet your specific requirements that allows us to build the machine that exactly meets your needs, that way you get exactly what you require, and don't have to pay for things that you are not using. Please submit your required specs and we will email you back a quote the same day. You will not be added to an email or call list of any kind. "ZeonHost, you guys went above and beyond. Again! Thanks so much!